What’s on my list for this year? The San Jose Rock ‘n Roll Half Marathon on October 7 and the California International Marathon (CIM) on December 2. This is my first marathon since 2016, so I’m nervous to be getting back into the game. 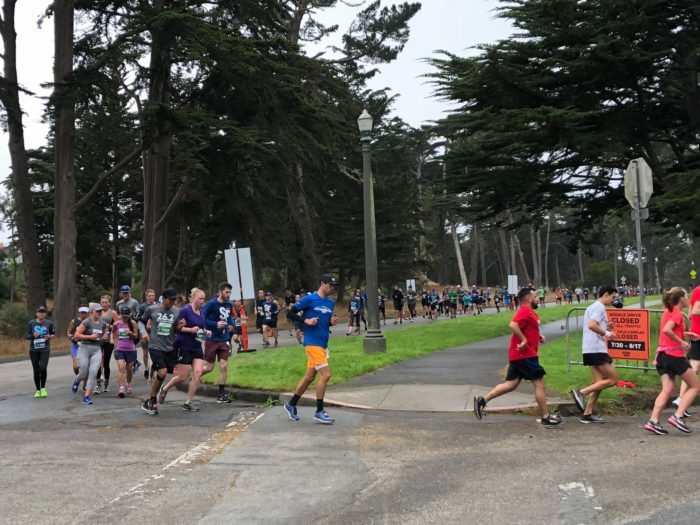 I’ve never run the San Jose course before, but the website says it’s a fast course, and browsing through the past results, it seems like it draws a fast crowd of runners. I’ve run CIM twice already, in 2013 and in 2015. I still shudder at the memory of CIM 2013, when it was literally freezing and the ground became icy from the water being spilled at the water stations and then freezing over. Yes, I’m a California girl who’s spoiled by the mild San Francisco weather, but man, that year was tough. I’m getting nervous already, just thinking about my races, although they’re still months away! Just some excited energy building up! Time to start building out my training plans. In past years, I created really simple training plans where I would run 5x/week and steadily increase mileage leading up to the race day. Simple enough. But this time, I want to get smarter and more strategic with my training, and focus on preventing injury. I’ve just picked up the Daniels’ Running Formula-3rd edition so I could study up on marathon training, injury prevention, and proper nutrition. It’s been pretty eye-opening so far. For one, coach Daniels advocates running to get the most benefit from the least stress, rather than getting the most benefit from the greatest stress the body can take. Wow! What a concept. Applying the least stress on your body that would still allow it to get stronger. He also advises against increasing mileage every week, but instead, staying at a certain mileage for 3 – 4 weeks before increasing. I agree with his conservative style of training. Daniels also talks about running at 180 – 200 steps per minute. This cadence minimizes the physical impact on your body. I first heard about this from my physical therapist who timed me as I ran on a treadmill, and I was pleasantly surprised to learn that I already naturally run at that cadence. I want to make sure I keep this pace, so I’ve started running with a metronome app (I set it to beep 180 times/minute) and it guides me on how often I should be taking another step.